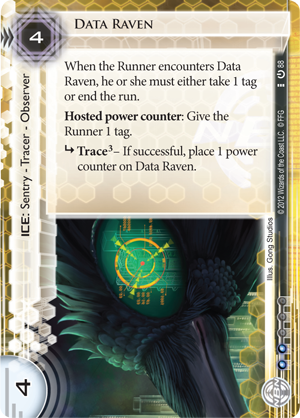 Today, in the penultimate installment of our faction overviews for Android: Netrunner, we hack into Corp HQ and take a look at the game’s winningest Runners, the Criminals. Our guide? 2014 World Champion Dan D’Argenio, who paired his Criminals with Jinteki for the tournament. As he suggests, the tricks and tactics employed by the game’s Criminals might not appeal to everyone, but if you’re interested in winning at the highest levels of competition, you ought to at least understand what makes these Runners tick. Shapers hack into the servers of multinational corporations for the challenge. Anarchs run to tear down the corporations and societal norms they despise. Criminal runners get into their line of work because – if you’re good at it – it’s just so fantastically profitable. There’s a big prize in the mainframe of NBN headquarters, and Criminals are in it to win it. 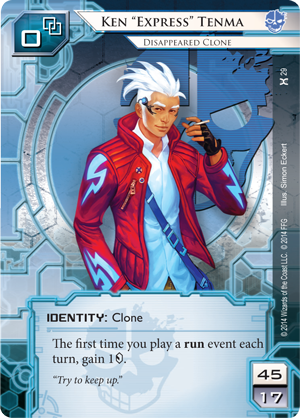 If you’re the type of win-at-all-costs Runner who wants to use every dirty tactic available, Criminal is the faction for you. 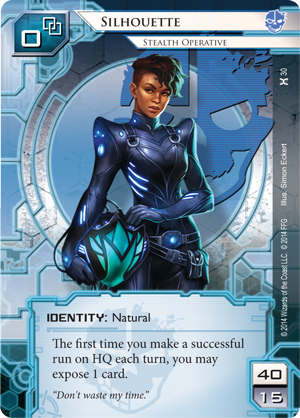 All that matters is the bottom line, and the bottom line is that Criminals have been the most successful faction of runners in the history of Android: Netrunner. 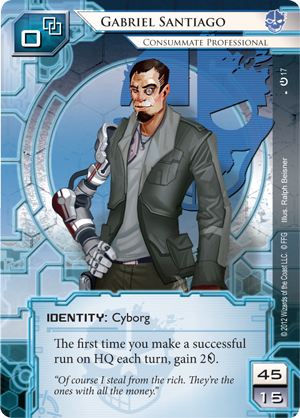 Straight out of the Core Set, Gabriel Santiago (Core Set, 17) was a force to be reckoned with. Gabe thrives when he is getting right in the face of the Corp, and he is equipped with the tools to do so. 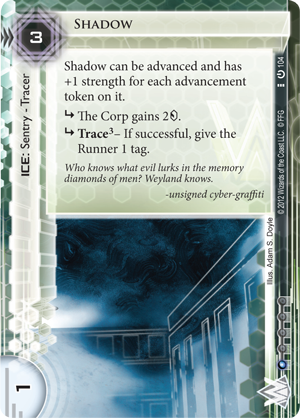 Inside Job (Core Set, 21) not only threatens a Corporation’s remote servers, but can combo with Emergency Shutdown (Cyber Exodus, 43) to undo all the hard work it took to rez that Wotan (Second Thoughts, 30). 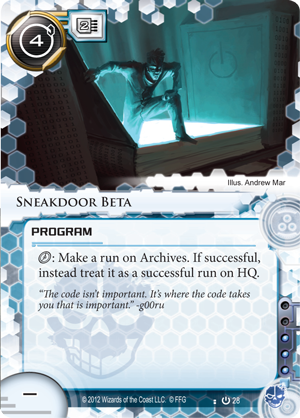 Sneakdoor Beta (Core Set, 28) allows Gabe to pressure the Corp’s oft-neglected Archives and get paid to do so. 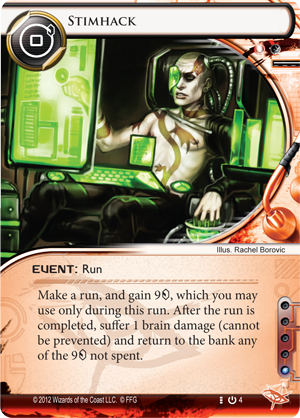 He can import Anarch cards like Datasucker (Core Set, 8), Knight (Mala Tempora, 43), and Parasite (Core Set, 12) to make sure he has continuous access to HQ for a reasonable price. 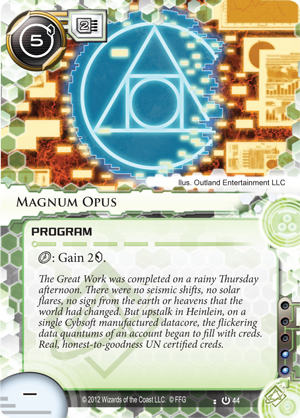 The two credits he earns might not seem like a lot, but if you’re getting it every turn and accessing agendas from the Corp’s hand, it can add up quite quickly. As soon as the game starts, any plans the Corporation might have had to build up its other servers are immediately put on hold as it tries to keep Gabe from tearing apart its HQ, even if there isn’t much there. 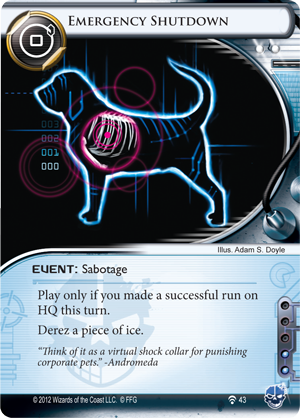 The next Criminal runner to be released solidified the faction’s position as top dog for years to come. 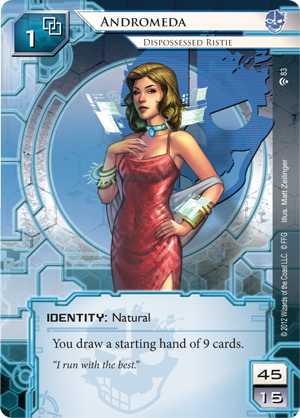 Meet Andromeda (Humanity’s Shadow, 83), a dispossessed ristie and the first lady of Android: Netrunner. From the Corp’s perspective, Gabe is a pest. A nuisance. Andromeda is downright oppressive. Born into an upper-class family, Andy begins the game with quite the head start. 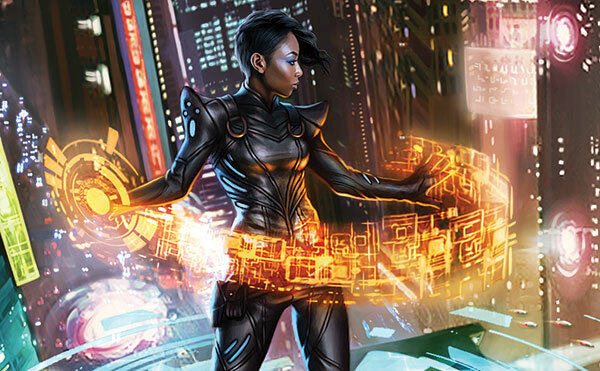 Nine cards might not seem that much better than the next top-tier runner’s effect, but her ability to start the game powerfully and consistently has propelled her to the front of the pack. 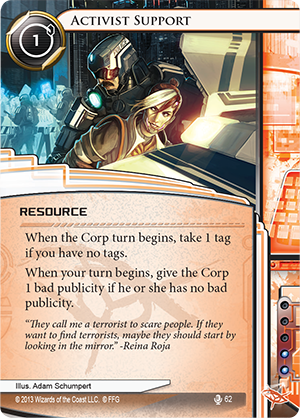 Opening turns like “ Sure Gamble (Core Set, 50), Desperado (Core Set, 24), Security Testing (Honor and Profit, 48), and Dirty Laundry (Creation and Control, 52)” are the embodiment of the Criminal enterprise. 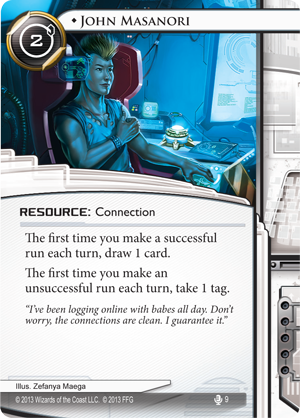 This is a common start for Andromeda, and it means that on turn two, you have arguably the best console in the game already in play, plenty of money to install your programs, and what amounts to a three-credit-per-click Magnum Opus (Core Set, 44), but one that isn’t taking up any memory. 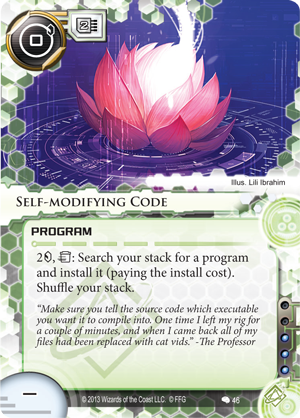 And that’s before you install your Datasucker and hit up John Masanori (Opening Moves, 9). After Andromeda, the Honor and Profit expansion introduced us to three new Criminal identities. Ken "Express" Tenma (Honor and Profit, 29) continues in the tradition of making money by staying on his feet. 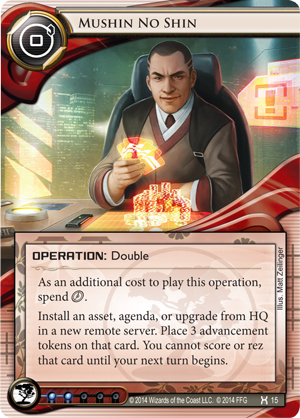 His ability can pay out as well as Gabe’s if you build your deck correctly, and an extra couple of influence points means that Ken can make use of an extra copy of The Maker's Eye (Core Set, 36) to add R&D pressure to the Corporation while they struggle to cover HQ. 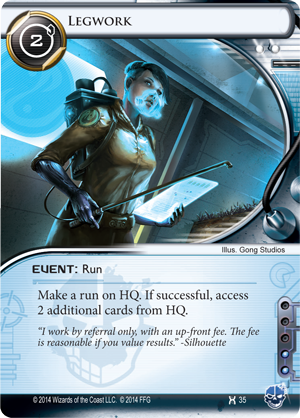 Silhouette (Honor and Profit, 30) is more of a niche runner, but a slim deck size grants her consistency, and she’s always a great girl to have around if you’re facing down a lot of Jinteki players using Mushin No Shin (Honor and Profit, 15) to deploy ambushes. Iain Stirling (Honor and Profit, 28) is the strangest of the bunch. 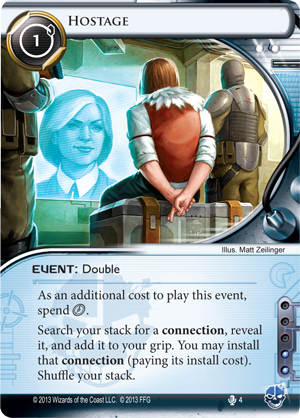 A good strategy is to leverage a Hostage (Opening Moves, 4) in the early game to amass a lot of resources, and if the Corporation seizes the opportunity to score first, you then get a huge bonus payout of two credits per turn. Criminals are not so much about building towards a powerful rig like their Shaper counterparts. Sure, they claim Desperado is the best console and piece of hardware in the game, and they say they own a few of the best programs as well, but being a Criminal is all about using your tactics to bring the Corporation to their knees. 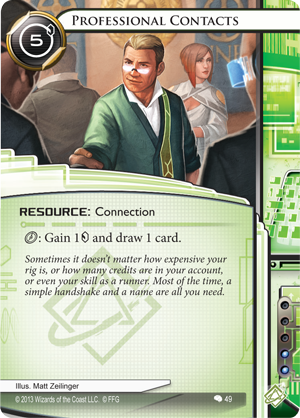 Account Siphon (Core Set, 18) has been turning the tables on the Corporation’s bankroll for a long time. 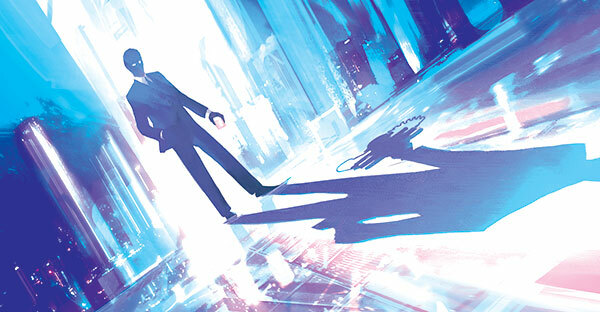 As Corp players have gotten better at making money, it has dropped off in relative power level, but just the threat of Account Siphon still means that no matter if you’re playing Gabe or Silhouette or some other less-HQ-focused Criminal, defending home base has to be first priority. 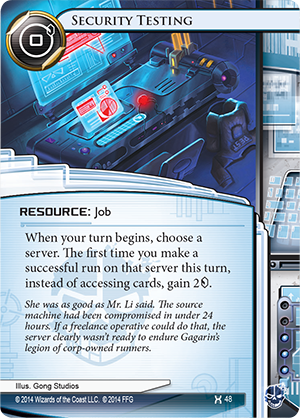 Few other cards in the game can threaten a fifteen-credit swing, and a well-timed Account Siphon attempt, even if unsuccessful, could cause the Corporation to expend so many credits protecting themselves that their other servers become easy to access. Inside Job and Emergency Shutdown go hand in hand. 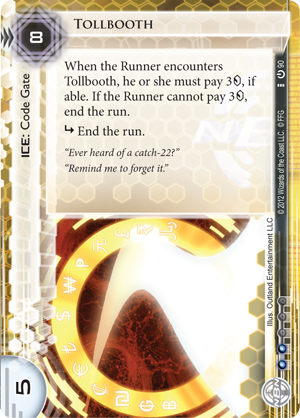 Is there a pesky Tollbooth (Core Set, 90) keeping you out of HQ? No problem. Go around, get in, and shut it down. No icebreaker necessary. 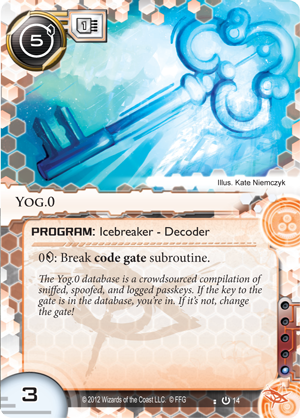 When you do need to eventually start breaking ice, Special Order (Core Set, 22) ensures that the Criminal never has to dig too hard to find the right tool for the job. 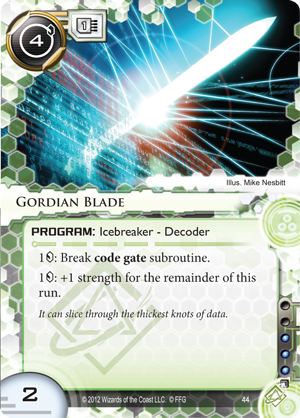 So what if we don’t have in-faction breakers like Gordian Blade (Core Set, 43), Corroder (Core Set, 7), or Yog.0 (Core Set, 14)? We only need to spend influence on one copy of each, and they’ll always be a phone call away. 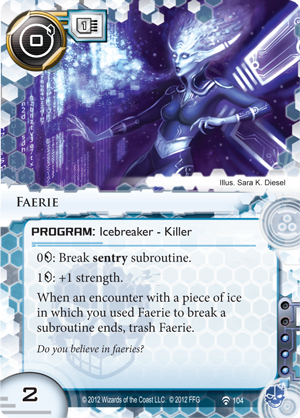 Just make sure you have a Faerie (Future Proof, 104) ready in case you run into a Grim (Opening Moves, 20) or Archer (Core Set, 101), and your singleton Corroder will stick around for the entire game. 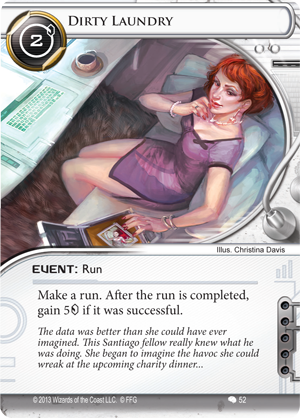 Finally, Legwork (Honor and Profit, 35) is the newest addition to the high-power Criminal event suite. 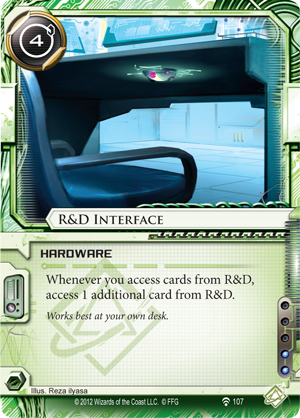 R&D Interface (Future Proof, 107) and Medium (Core Set, 10) are great for sustained R&D pressure, but when it comes to HQ, it’s usually more efficient to get in, get out, and call it a day. Most Criminals don’t want to waste too much time pounding HQ and seeing the same card over and over again. 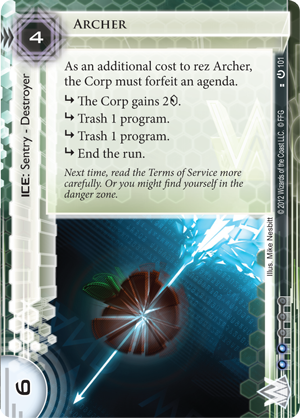 With Legwork, we can wait for a few turns until the agendas pile up in the Corp’s hand and steal tons of points just by getting in one time. The heist to end all heists. 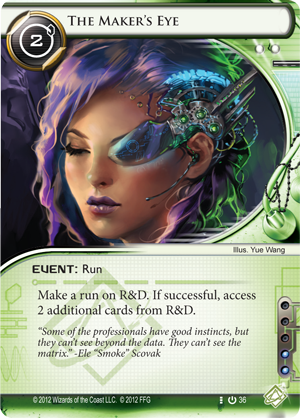 If it doesn’t end the game on the spot, we can turn our attention to R&D once we’re reasonably sure we’ve taken HQ for all it’s worth. 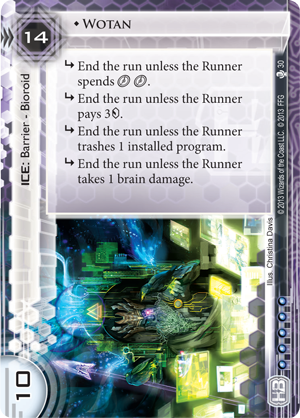 A discussion of the Criminal faction wouldn’t be complete without talking about what I believe is the single best Runner card in the game. I think that most competitive players would argue that Desperado holds that honor. 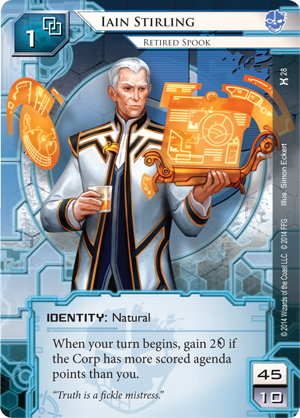 Even at the steep cost of three influence, it is still the most splashed console in Shaper and Anarch decks, and for good reason: for the low startup cost of three credits, Desperado is an offer you can’t refuse. One of the most common mistakes that beginners make when building Criminal decks is to include fewer than three Desperado. 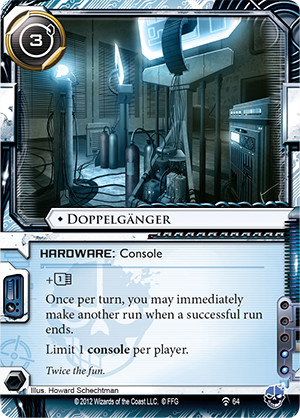 For the same cost, Doppelganger (A Study in Static, 64) looks like it might be just as good or better, and Logos (Honor and Profit, 37) seems like it could be a better fit in some slow decks. 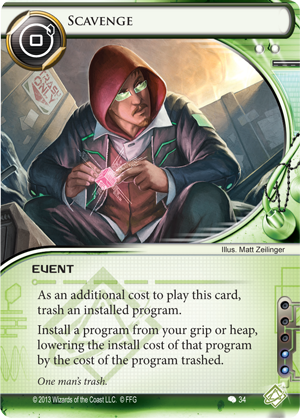 You can certainly choose to build a Criminal deck that functions perfectly well without Desperado, but doing so is just handicapping yourself. Three Desperados means that you get it into play as soon as possible, which means that you start getting paid as soon as possible. 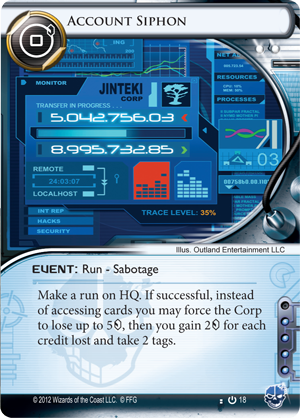 If you’re playing Datasucker and the Corp has an undefended Archives, you suddenly have an option available that’s significantly better than clicking for a credit. If you’ve got Security Testing in play too, you’re starting to become more efficient than a Shaper with a full rig could ever hope to be. 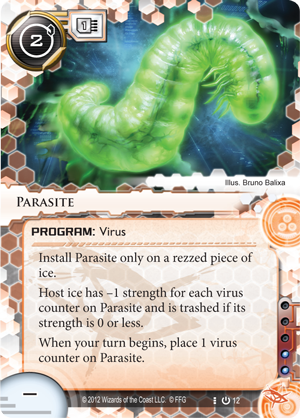 If you’ve got John Masanori by your side as well, you can gain three credits, a virus counter, and a card draw for just a single click, once per turn. Magnum Opus and Professional Contacts (Creation and Control, 49), eat your heart out. 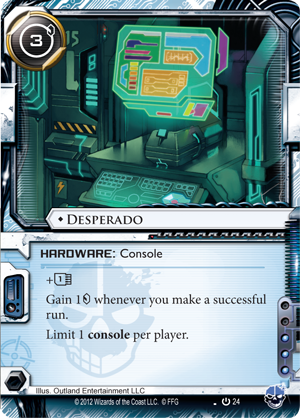 Even without including all these combos in your deck, Desperado can function like a point of bad publicity and a memory chip in one package. 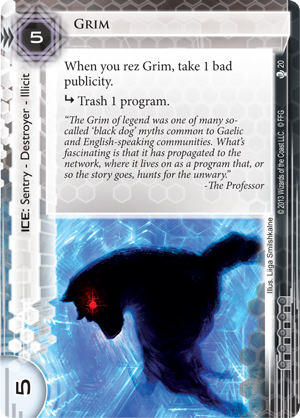 Looking at cards like Frame Job (Opening Moves, 1) and Activist Support (True Colors, 62), it’s clear that the cost of an actual point of bad publicity is pretty high. Much higher than the three credits you have to invest in your Desperado. Unlike an actual bad publicity, Desperado can pay you for free runs, such as checking Archives or newly installed assets in remote servers. An early Desperado also supercharges your face-checking. 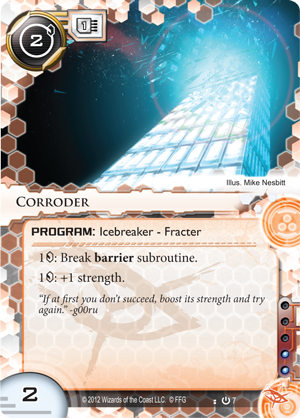 If the corporation wants to keep a Rototurret (Core Set, 64) unrezzed until you install a program or keep its HQ ice face-down until you try to Account Siphon them, Desperado is going to make them pay for that luxury in more than just random accesses. Being a good runner means getting in and out without making a big mess. 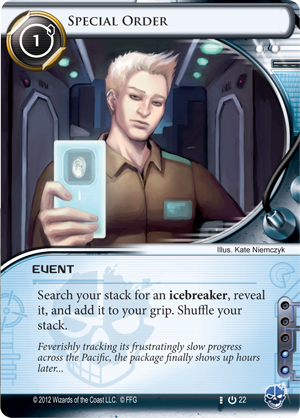 The fact that Criminals often have to import their icebreakers from other factions means that they don’t have a lot of spare copies left in the stack. 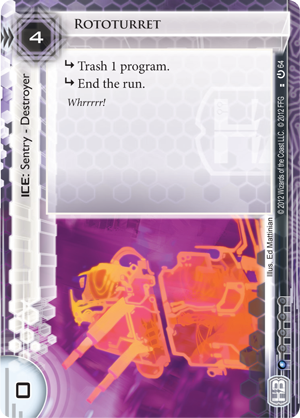 This means that Criminals need some protection from the Corporation’s nasty destroyer ice. Thankfully, while Criminals are not known in hacking circles for their programming, there is one type of program that they do better than anyone else: killers. Being able to break sentry subroutines efficiently is a huge advantage for Criminals, as sentries often have the most painful subroutines for the Runner to let go unbroken. 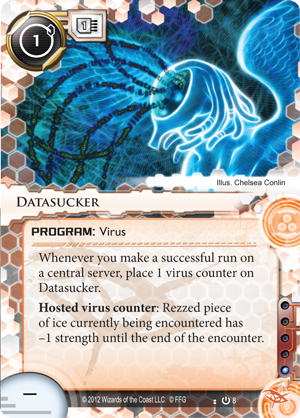 Because Criminals can so readily protect the few programs in their deck from trashing subroutines and net damage with the killers that they have in-faction, they don’t have to worry about losing their only Corroder when they’re face-checking or Security Testing the Corp’s ice. 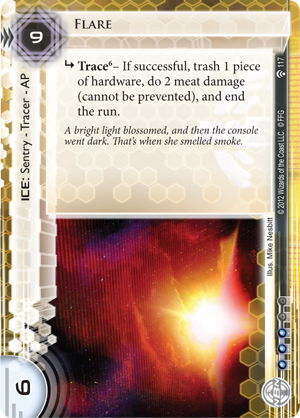 Possibly the best killer, possibly even the best icebreaker in Android: Netrunner is the ephemeral Faerie. While a one-time-use breaker may initially seem innocuous, it’s the nature of sentries that makes Faerie such a powerhouse. Sentries tend to fall into one of two categories. 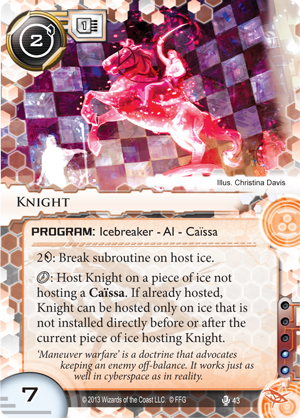 On one hand, you have those sentries that can be dealt with without programs, such as Caduceus (What Lies Ahead, 19), Shadow (Core Set, 104), Data Raven (Core Set, 88), and Pup (Honor and Profit, 18). On the other hand, you have sentries that are very damaging to face-check but are often a pain to rez, such as Grim, Archer, Komainu (Honor and Profit, 17), and Flare (Future Proof, 117). 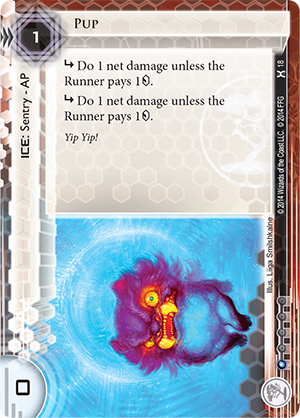 A Faerie on the board not only costs zero to deploy, but it enables you to safely run into face-down ice until the Corporation rezzes something truly nasty. 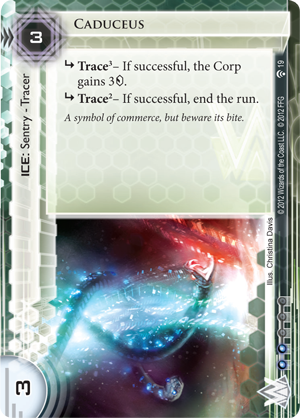 Because it’s so cheap to use, this often means that the Corp has to give up a big tempo hit to get a Criminal to use his or her Faerie, often along with an access and important information about where its most dangerous ice is located. 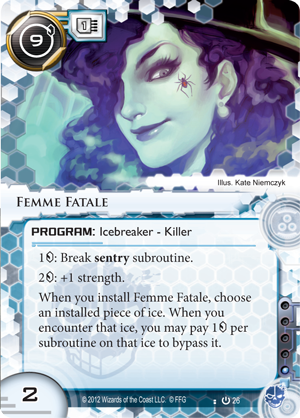 Femme Fatale (Core Set, 26) is another very strong killer that Shapers have been importing for just one influence point since the beginning of the game. 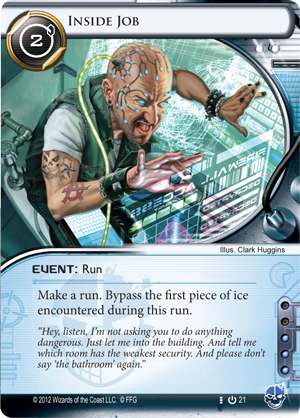 While Criminals aren’t easily able to play her with Stimhack (Core Set, 4) and Self-modifying Code (Creation and Control, 46) or by combining Test Run (Cyber Exodus, 47) with Scavenge (Creation and Control, 34), the ability to ensure passage past any piece of ice is usually worth her steep cost. 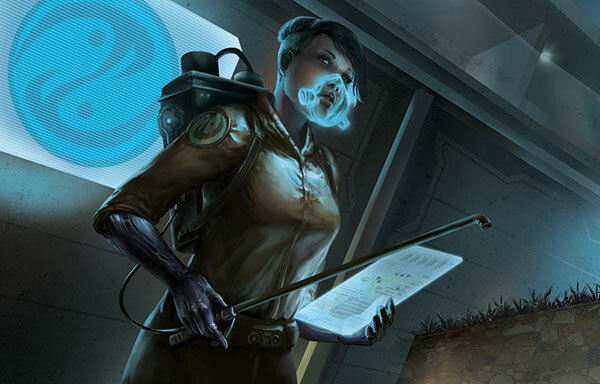 Criminals frequently find themselves using Femme to target a piece of HQ ice the Corporation has refused to rez in order to guarantee a successful Account Siphon, or they’ll use her in conjunction with an Inside Job to get deep into a remote server with two layers of ice. 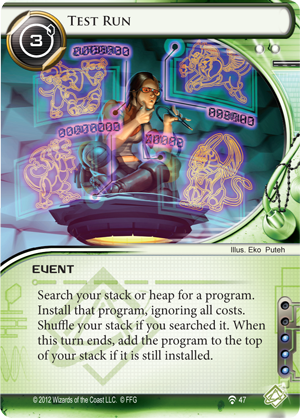 The fact that it costs two credits to pump her strength can make her somewhat expensive, but the often-imported Datasucker can help bring opposing sentries down to Femme’s level. 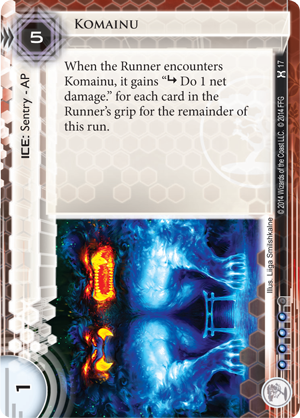 Additionally, Femme has the big benefit of being able to get around ice like powerful, taxing sentries like Komainu and Tollbooth for nothing, or next to nothing. There’s a newer Criminal killer on the block that is also starting to make waves. 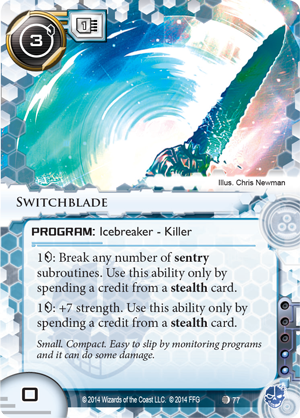 Though it demands access to a lot of stealth credits, Switchblade (Up and Over, 77) is the most cost-efficient killer in the game. For the low start-up cost of three credits and access to enough recurring stealth credits, you can break just about any sentry for free. 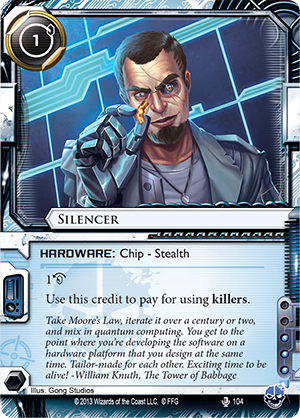 Grim, Archer, and Komainu all fall victim to a Switchblade and two Silencers (Double Time, 104), making it an awesome choice for any Criminal who is tired of breaking bank on the plethora of multi-subroutine sentries protecting the Corporations’ servers these days. 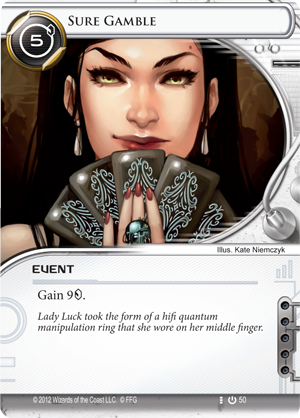 …didn’t play Android: Netrunner. The winningest faction in the game is a powerhouse that’s here to stay, thanks to strong identities, an extremely effective console, and game-changing events. 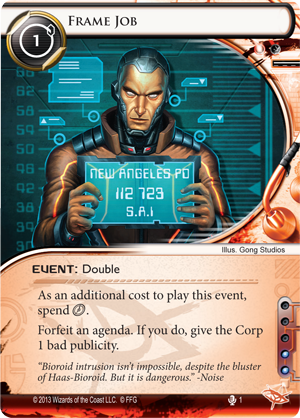 One of the biggest reasons to stay within the Criminal family is that some of their best cards, Desperado, Faerie, and Account Siphon to name a few, are irreplaceable and heavy on influence cost. 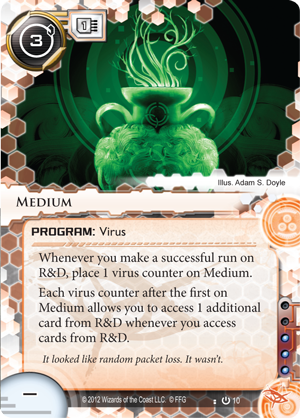 If you want to play three of all of these cards in your deck, use them to tear through corporate servers with terrifying efficiency, and win World Championships, then it’s time for you to start exploring the advantages native to a life of crime.